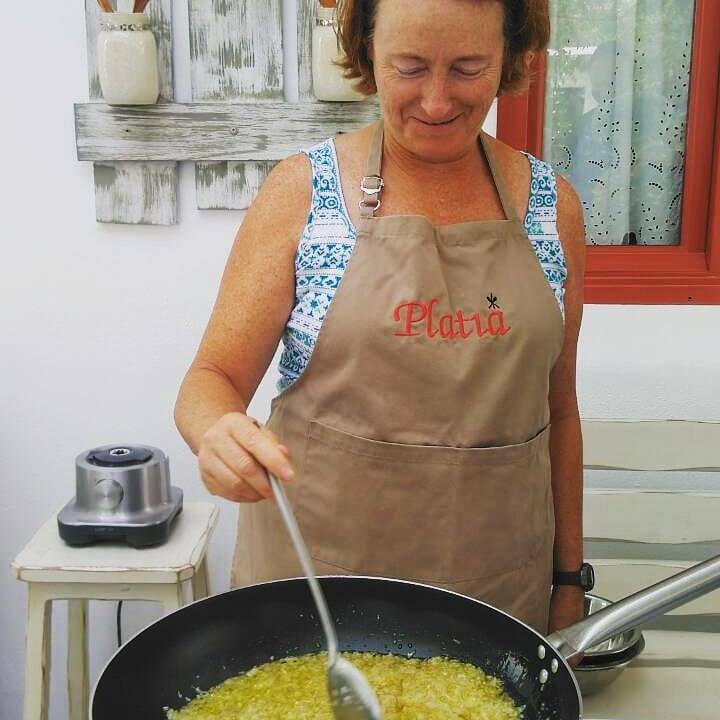 We proudly present our Cooking Classes in Naxos, with them you can combine your holidays making your cooking class in a warm and welcoming place in Platia's restaurant. 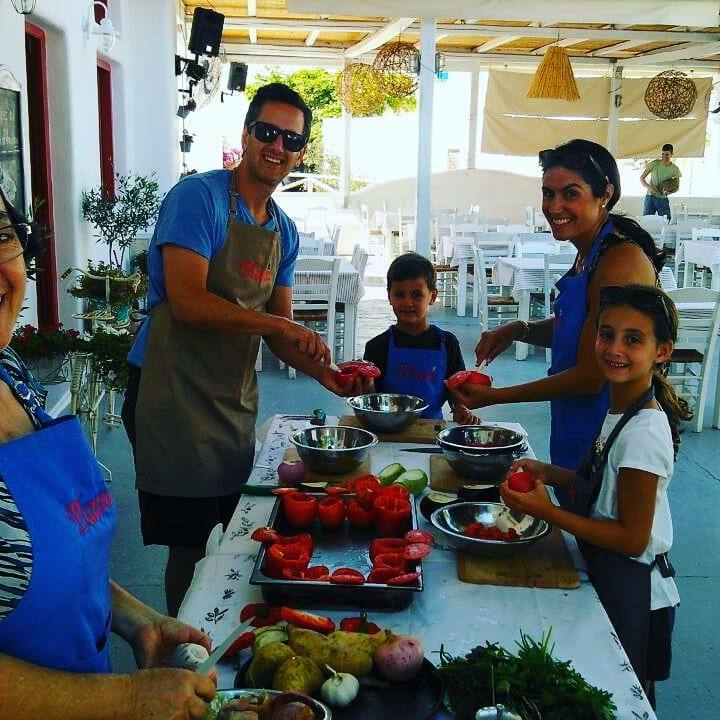 You can participate in the cooking class process of an authentic Greek meal, enjoy a delicious dinner or launch made with your own hands, accompanied by local drinks and wines. 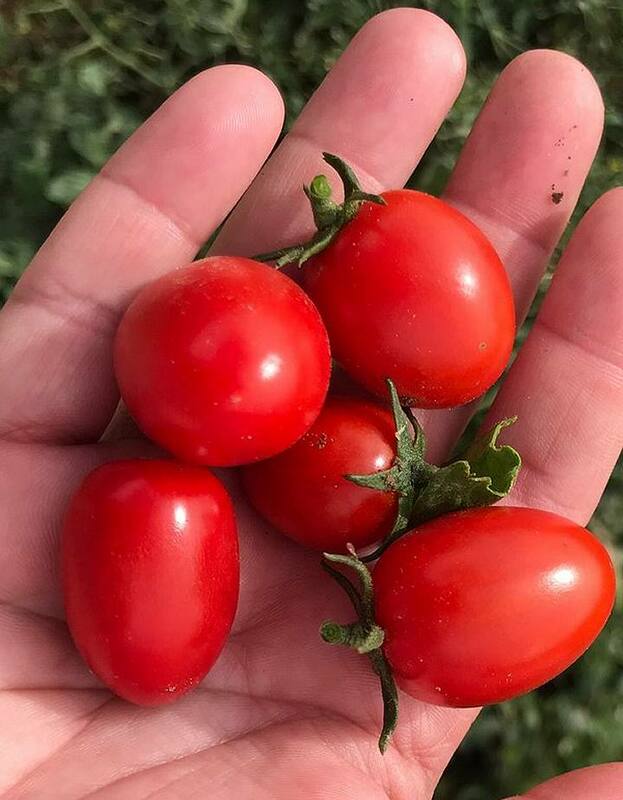 Visit our farm with the orange trees, lemon trees, tomato plants, eggplant, zucchini, basil, fig trees and many more and pick up fresh ingredients for your meal. 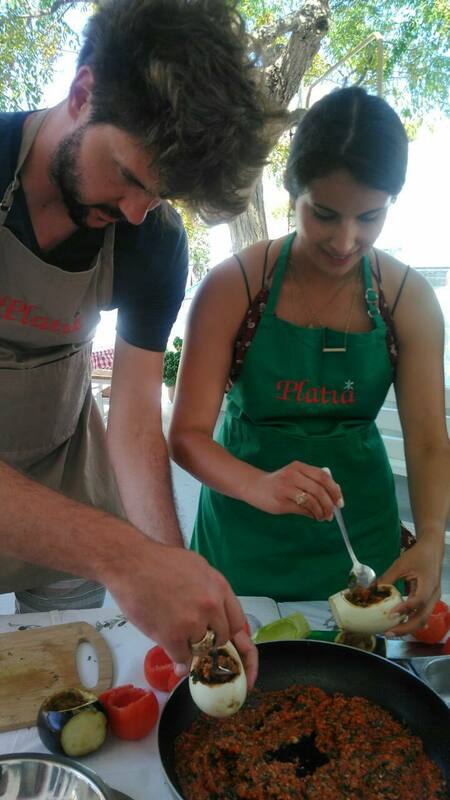 "Truly an unforgettable experience for both the incredible meal and the wonderful company. 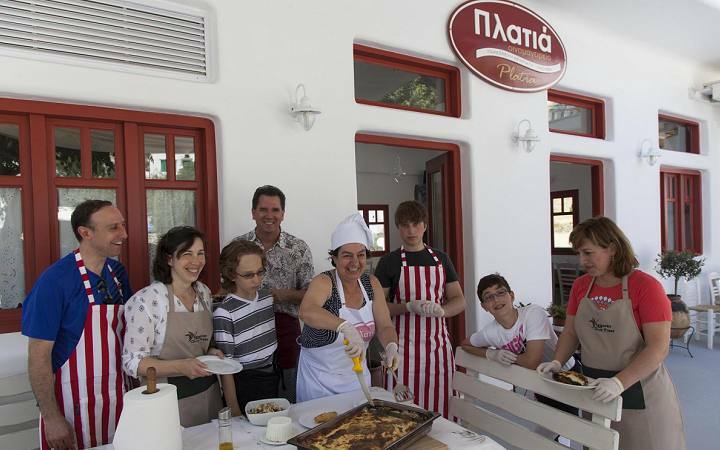 The cooking class was very hands-on and we got to learn how to make many Greek specialties. 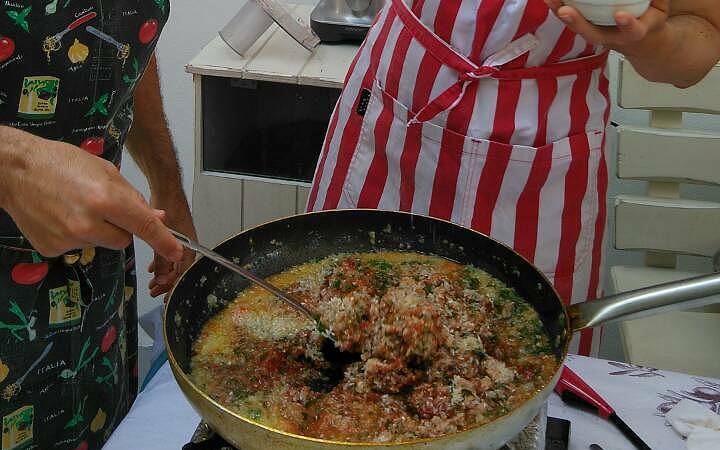 The food was unbelievable, fresh and as authentic as you can get! 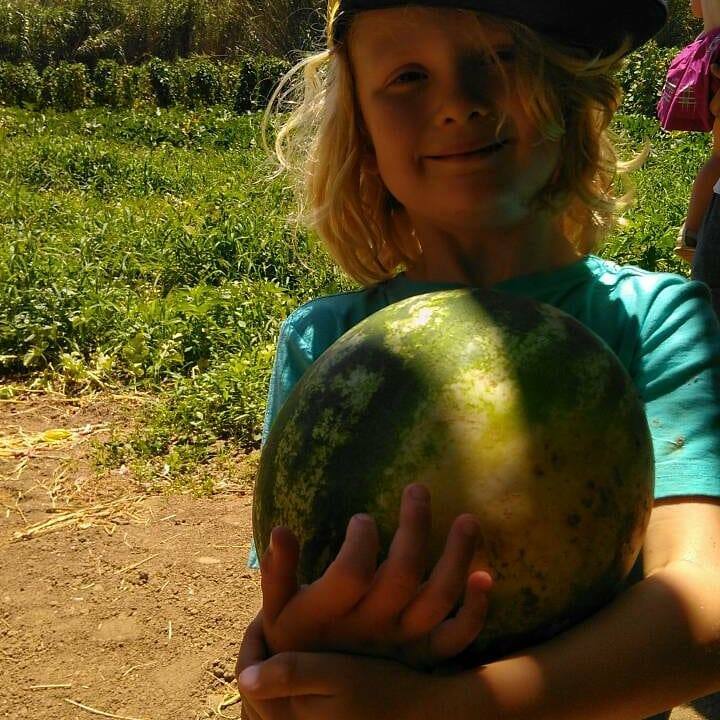 We loved the tour of the family farm and the many snacks before the class even began. We could not have asked for a better way to spend an afternoon than with such a kind and hospitable family. 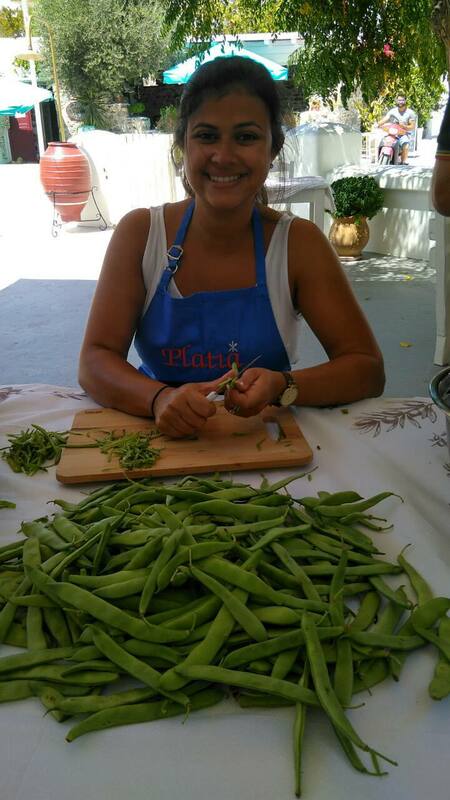 We highly recommend this experience for anyone visiting the Naxos area! 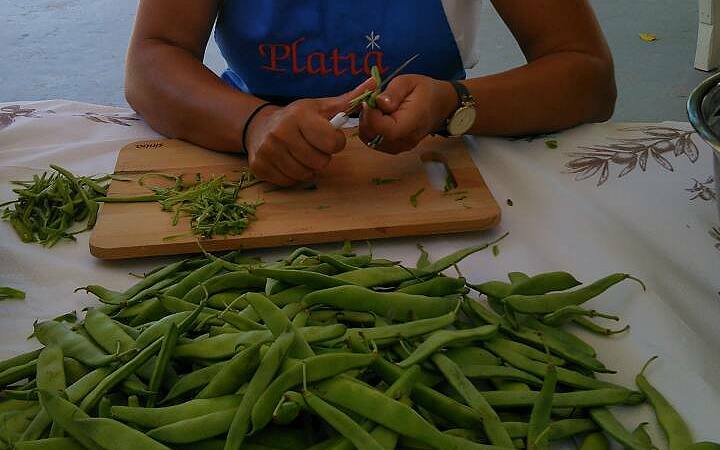 If you are looking for something special, unique and exceptional Platia tavern is the best choice and ideal to fulfill your expectations. 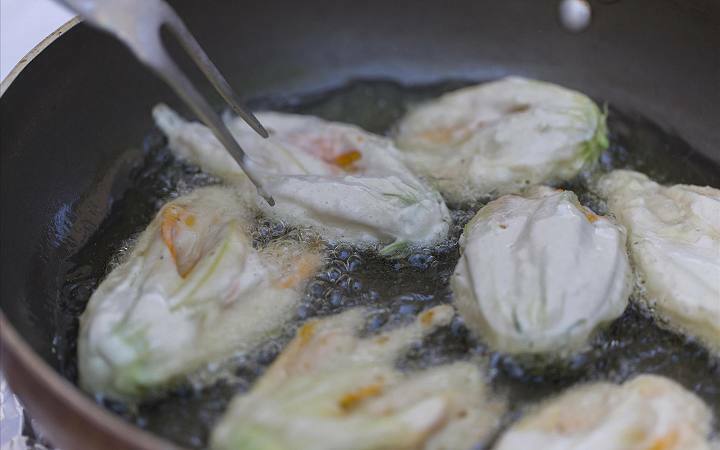 All dishes are very finest and made of local products. 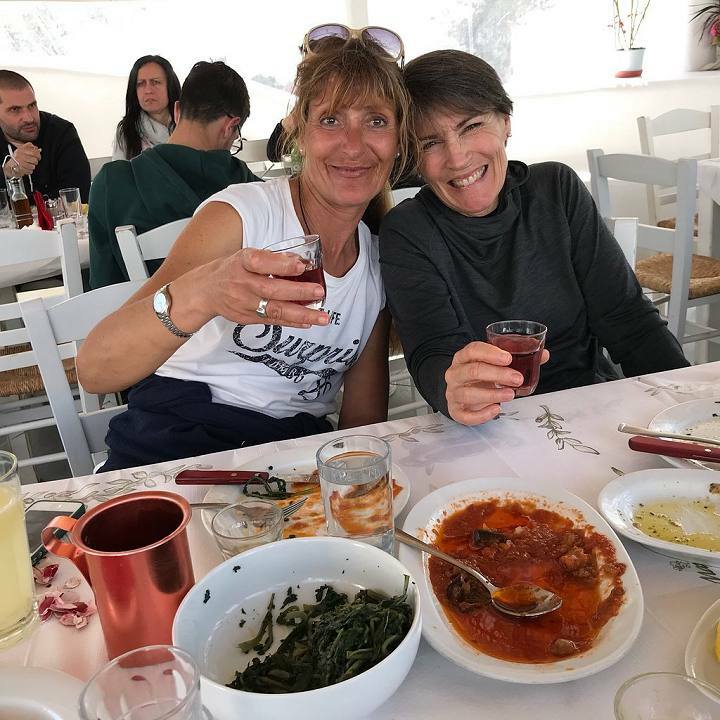 The wine and the raki (called strofilia in Greek) made from Dimitri's vineyards. 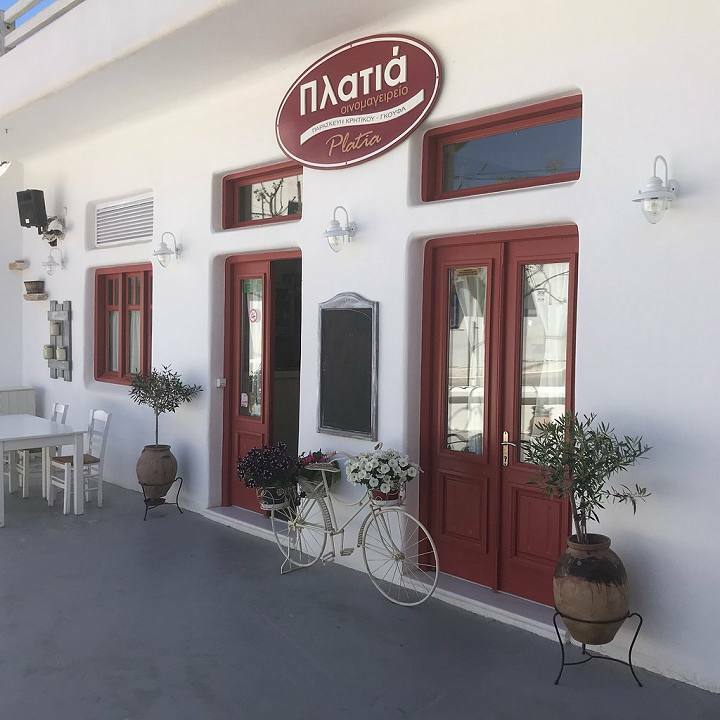 You will realize immediately that in this restaurant the traditional cuisine cannot characterized as a touristic place as it crosses even the narrow geographic limits of Naxos. 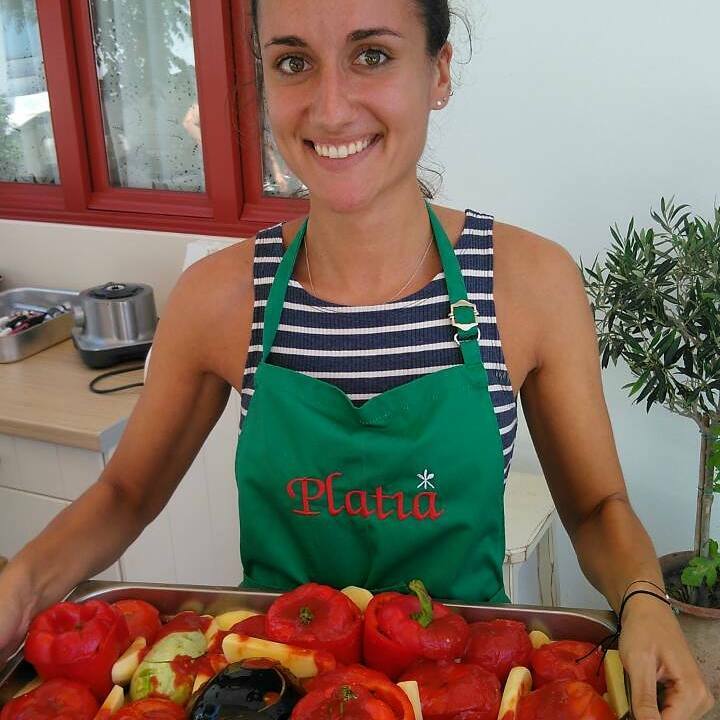 Platia Tavern opens its doors and welcome you in a friendly and warm enviroment all the "hungry" visitors who wants to experience something special and unique. Choose one of our fabulous traditional dishes which are made from local products. 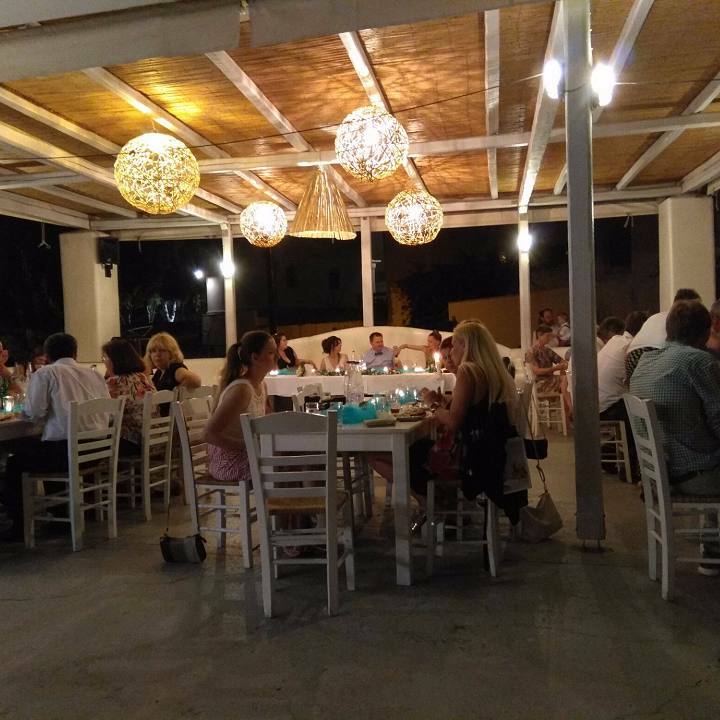 "We visited the tavern for dinner during our stay in early september and definitely consider it as the best in Naxos. 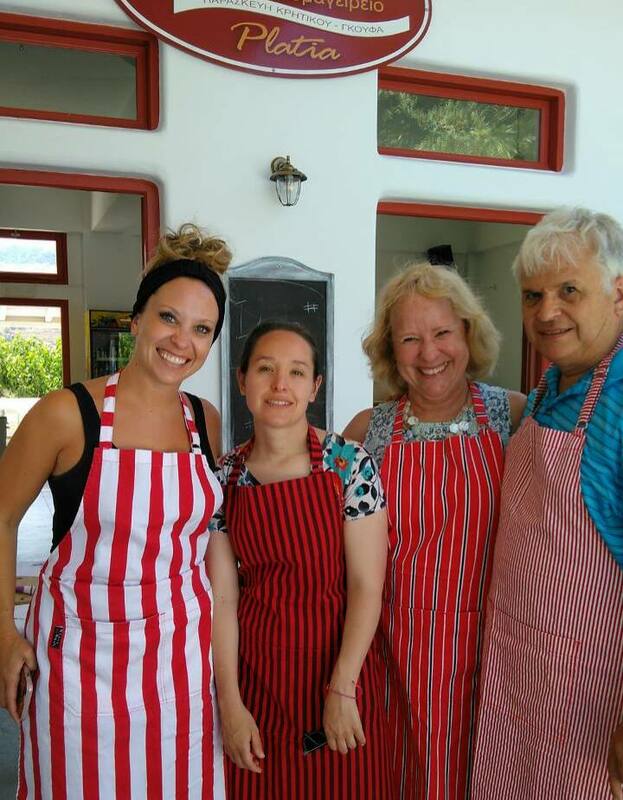 The owners and staff of the tavern were the most friendly we ever encountered in over 12 years of travelling to Greece. 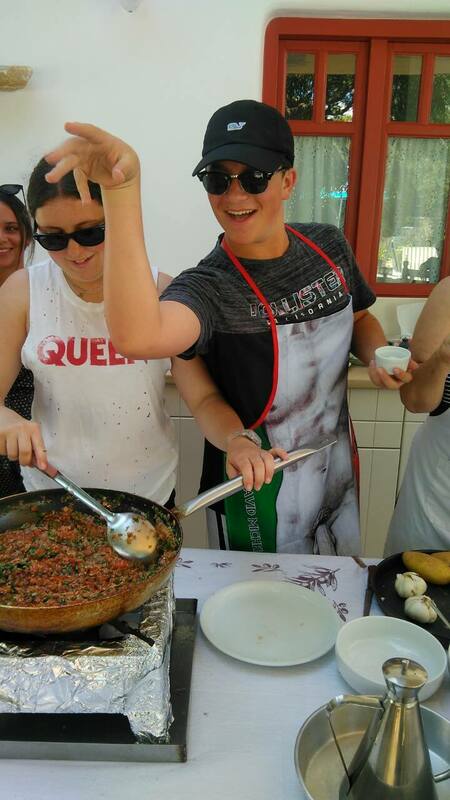 In addition, food is outstanding! If you like lamb, do not miss the delicious lamb chops (best we had so far). 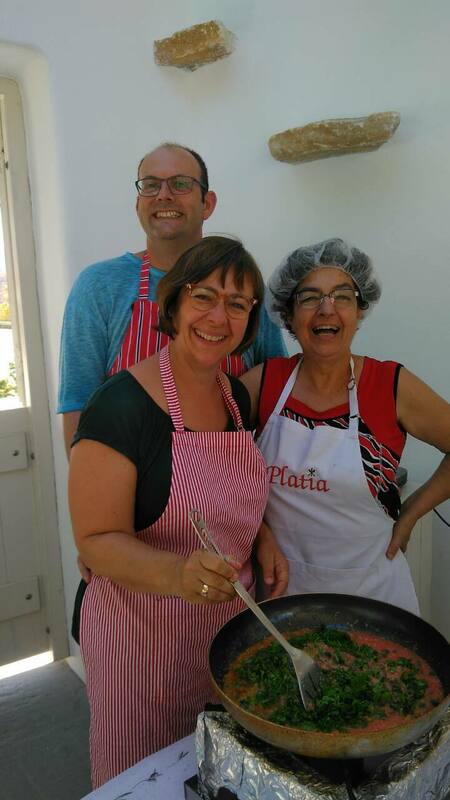 "My mother and I just finished a cooking class at Platia and it is so far one of the highlights of our trip! Highly recommend - the people are so warm and wonderful! Galini is picturesque and has great views of the mountains and surrounding villages. Upon arrival we sat down to a selection of Naxian cheeses, olives, tomatoes, bread, homemade jams and preserves - and homemade ouzo if desired. We cooked stuffed grape leaf rolls (dolmadakia), cabbage rolls with meatballs, tzatziki, and Greek pancakes with honey and cinnamon. 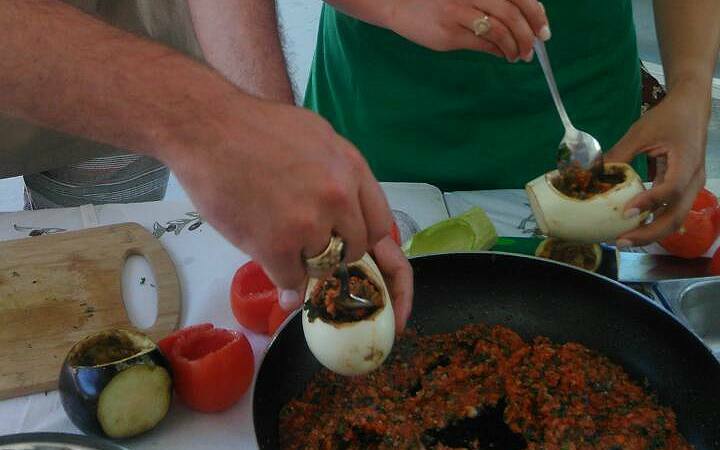 Most of the ingredients were fresh from their family farm. 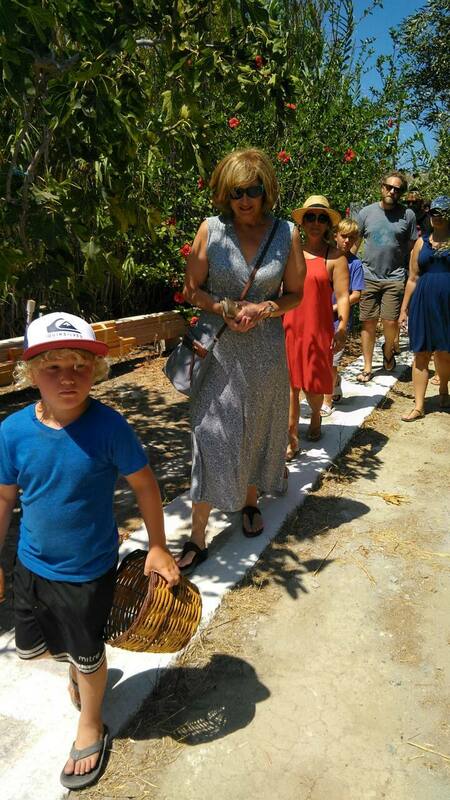 After cooking we got to visit the farm and saw orange trees, lemon trees, tomatoes, eggplant, zucchini, basil, figs and more. 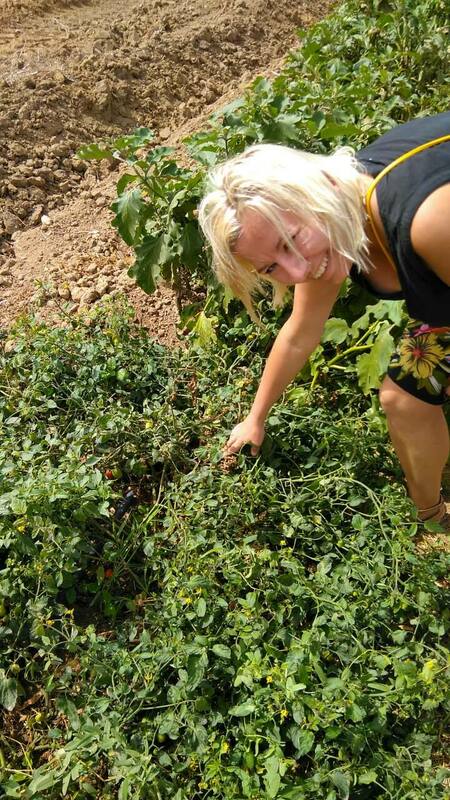 She picked many fruits and vegetable for us to take home and also packed up the leftovers that we had cooked! So worth it - a really great traditional experience that we will never forget! Thank you Platia. " 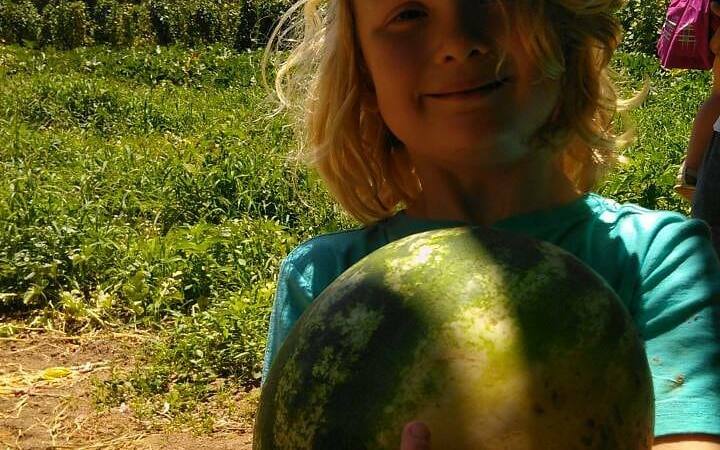 " We had the most amazing cooking class, tour of the farm/land with this wonderful family! This is a must do it Naxos! Worth it! 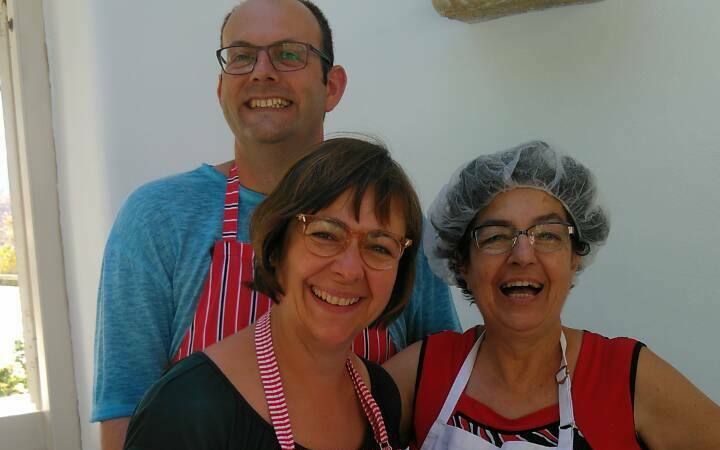 We cooked and ate excellent food, laughed...., it was the highlight of our short time in naxos! " 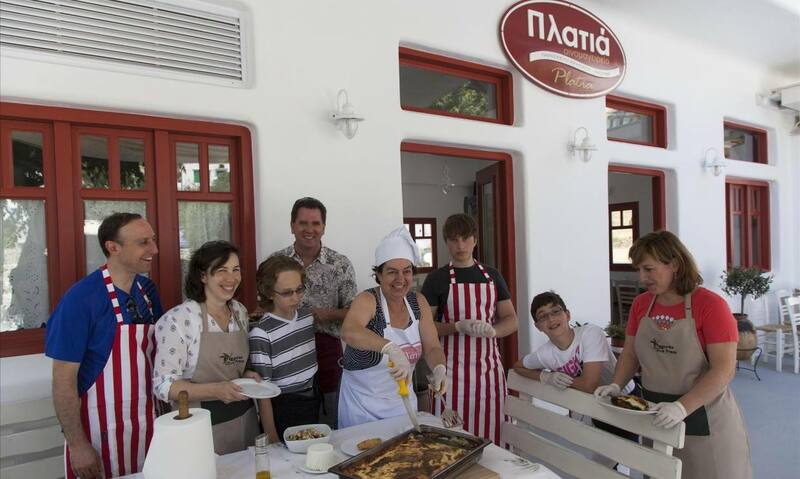 " The food was authentic traditional Greek food made with locally grown ingredients. 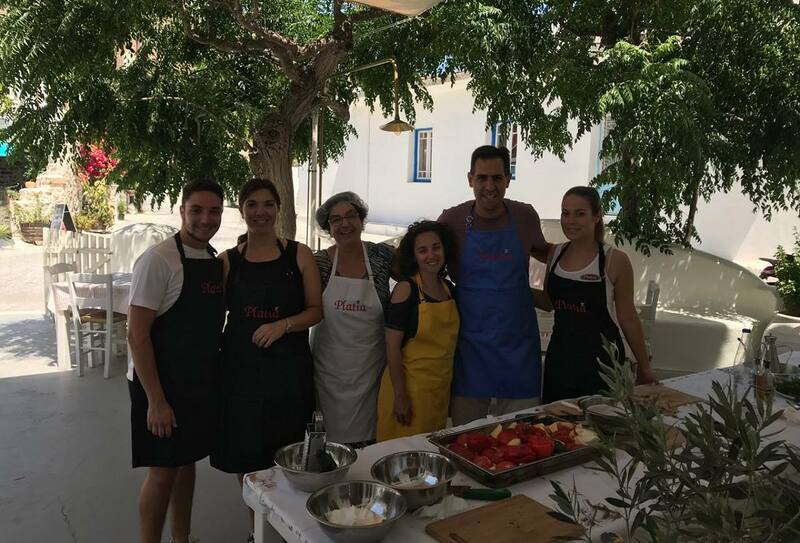 We had the moussaka, braised beef in a rich tomato sauce, feta and tomato homemade savory pie, a horiatiki Greek salad, and baked chick peas in a lemon anise sauce. Everything was incredibly delicious with the chick peas being the best I’ve ever had. 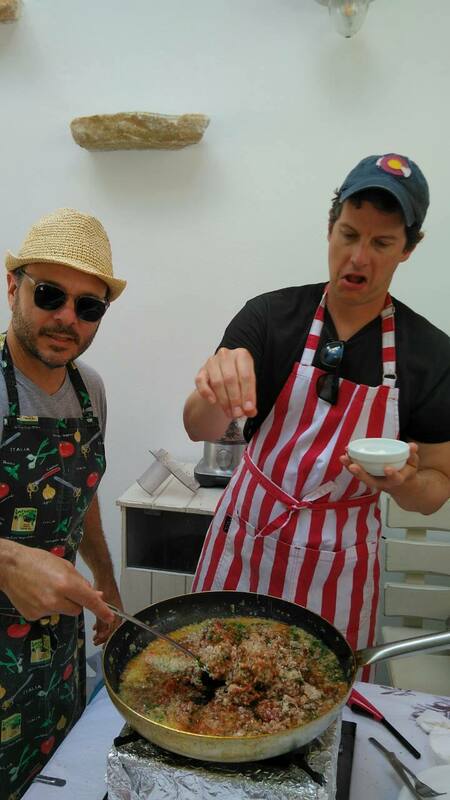 The food was as tasty as my yiayia's (Greek grandmother) which says a lot! " " Had a very special time at Platia Tavern. 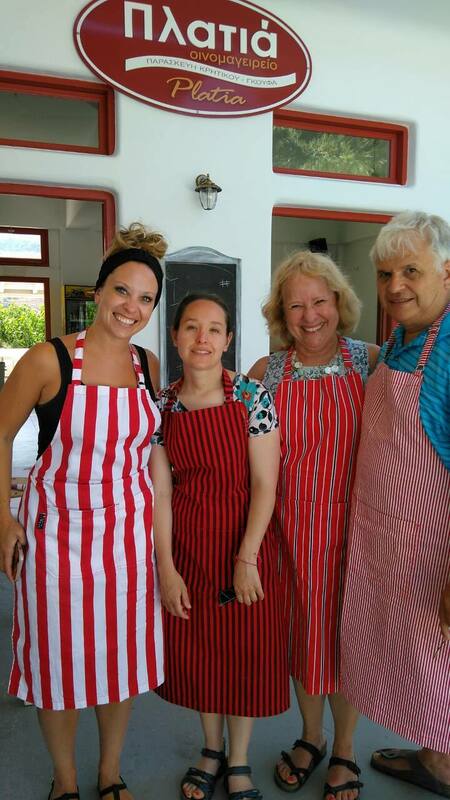 We were warmly welcomed with a delicious homemade apricot flan, fresh berries and local cheese. 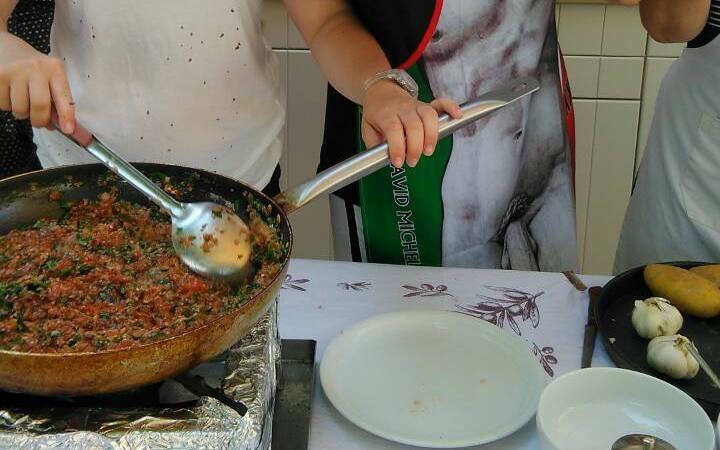 From there our cooking experience started and the day just got better. 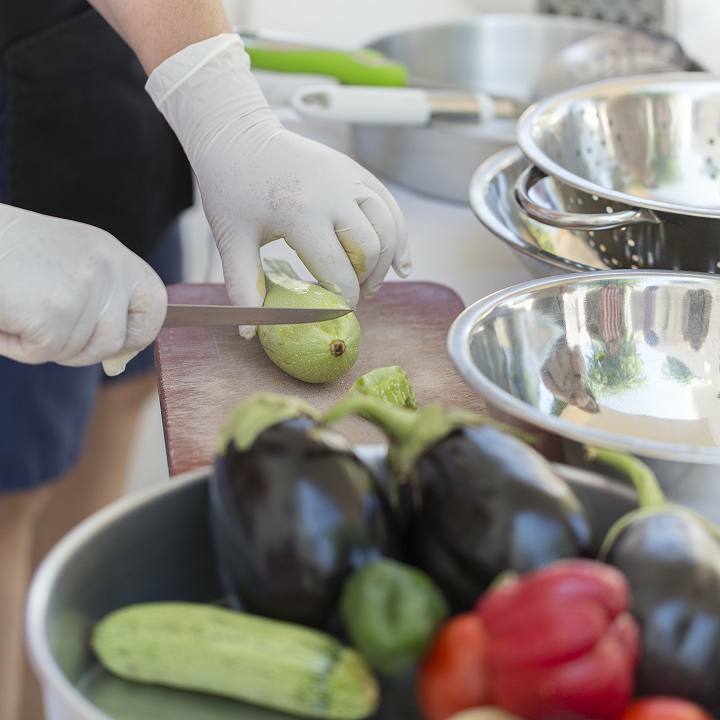 With 4 souls chefs the owner quickly had us prep the best stuffed peppers, zucchini, tomato and eggplant I've ever had. Accompanied by homemade tatziki and a delicious vegetable salad. 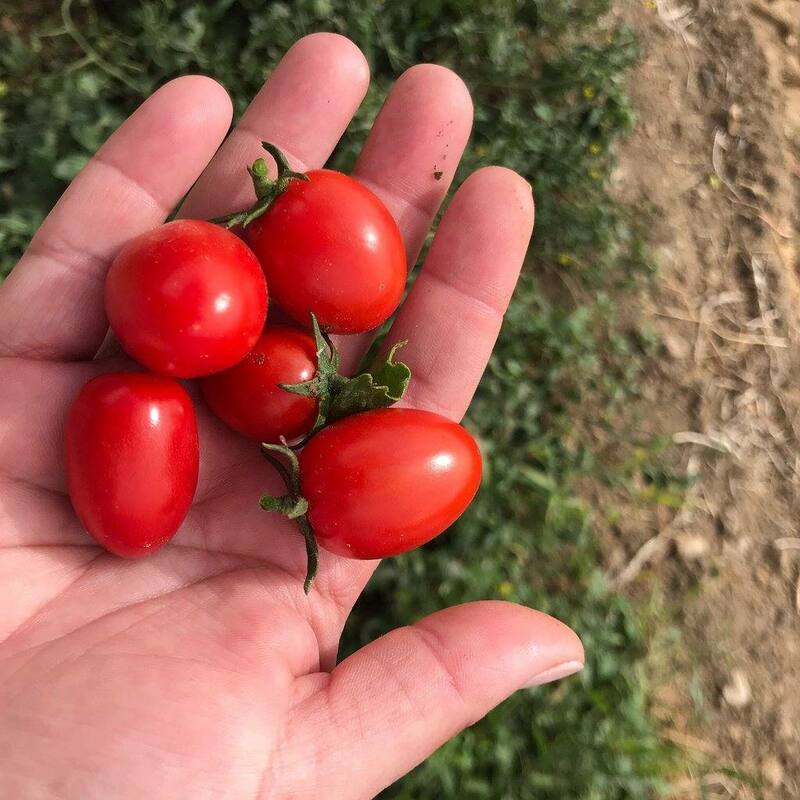 We were treated to a tour of the property where they grow almost everything. 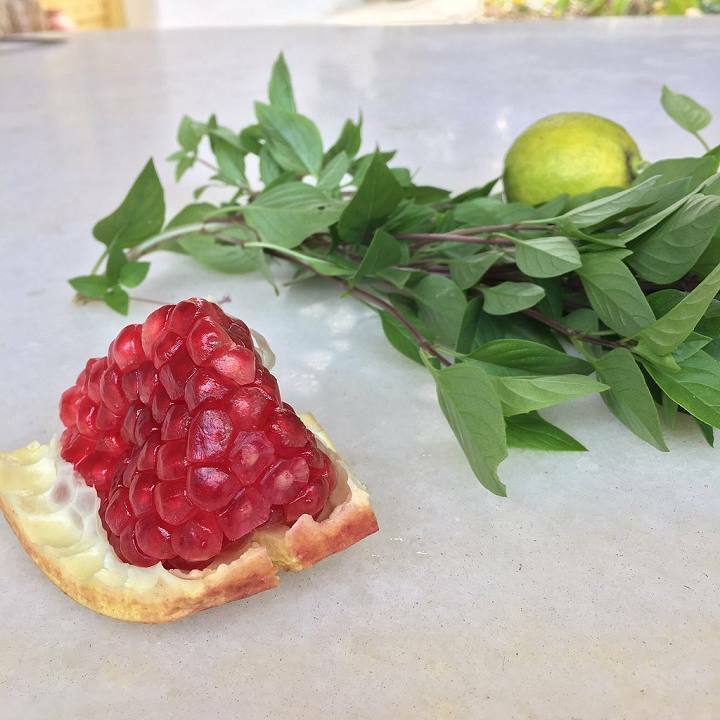 Tasting the ripe oranges along the way. 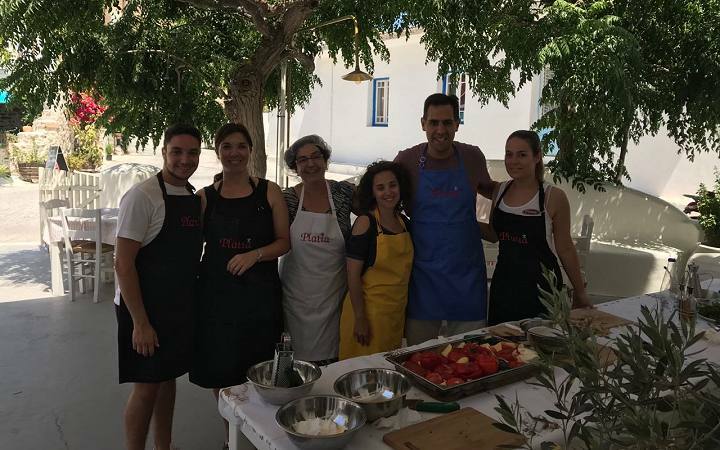 Truly was a memorable experience that I would highly recommend "
Galini is a traditional and quiet and peaceful village, in the verdant Galini Valley, only 10 minutes drive from Naxos Town. 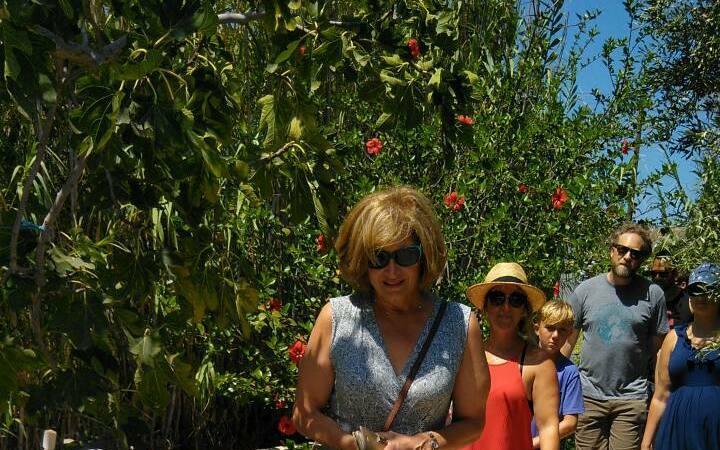 The area is surrounded by orchards, farms and agricultures from the most modern to traditional. Here is the field in which Nikos Kazantzakis referred to summer vacations, in his book :" Report to Greco". © Platia All rights reserved.